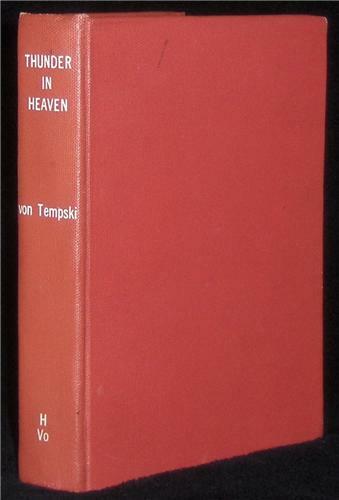 Hardcover (5 1/4 x73/4), Sun Dial Press, NY, 1944. 361 pages. Includes Glossary. "About The Author: Maui writer Armine von Tempski, who died almost a half-century ago, is one of Hawaii's enduring literary legends. She spent her childhood years on the family ranch in Haleakala with her Polish-American father and English mother. Her books reveal the daily life and customs on Hawaii with a colorful prose that captures the beauty of the spectacular tropics." "Written against the colorful background of Kona, Thunder in Heaven contains the essence of the island people themselves: warm-hearted, loving, carefree, and at the same time capable of feeling and enduring the deepest griefs with a simple faith."